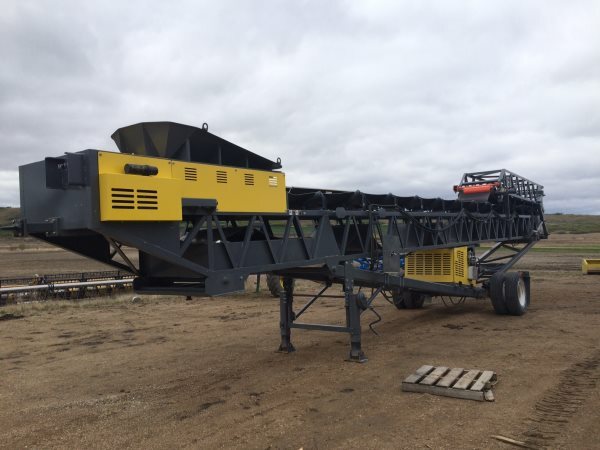 Vale 36" Wide X 80' Long radial stacking conveyor. Self contained with Kubota power pack. Three to choose from! For sale or rent. Call us for details!